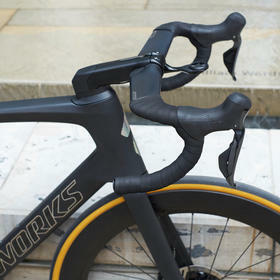 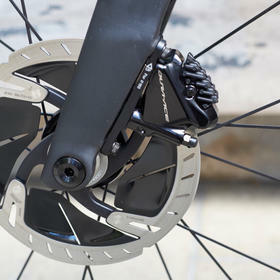 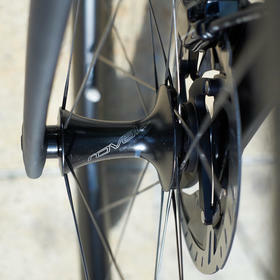 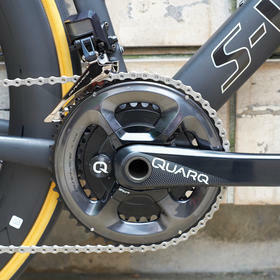 This S-Works Venge features the latest Quarq DFour91 Power Meter cranks, specifically designed to work with Dura-Ace R9100. 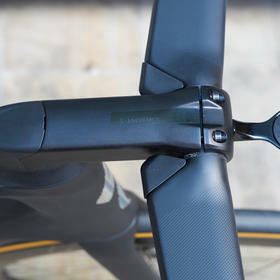 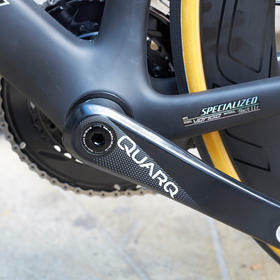 These carbon cranks include the latest advances in Quarq's technology, including dual Bluetooth Low Energy and ANT+ wireless data transfer, plus their updated strain gauge design - all in a light, sturdy package that gives dual-sided power measurement. 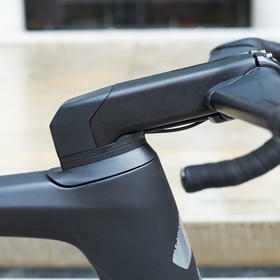 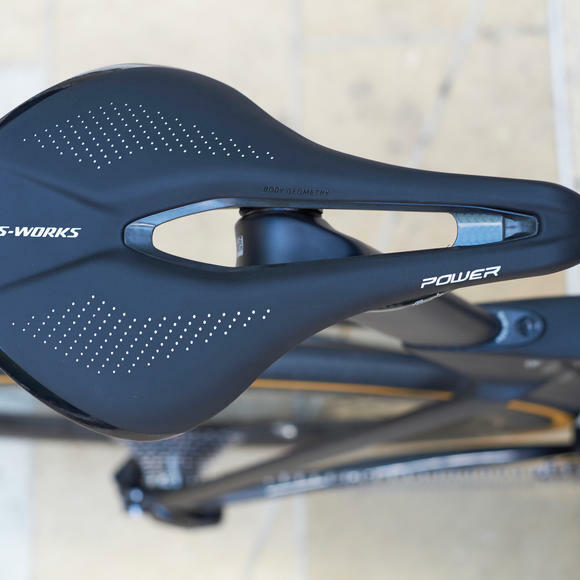 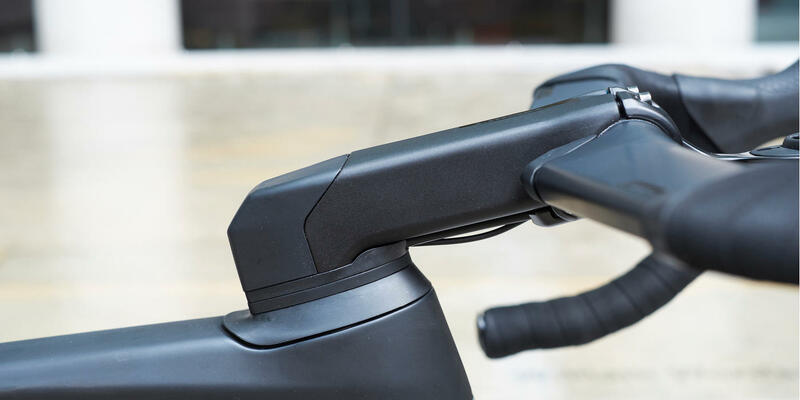 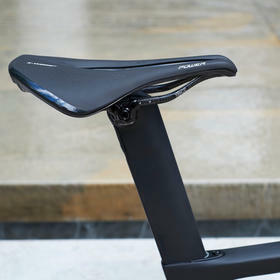 The rest of the components are equally cutting-edge, including the latest Aerofly II carbon bars with integrated stem and the awesome new S-Works Power saddle that's rapidly becoming a favourite.